Across the road from the Lakshmibai National Institute of Physical Education (LNIPE), this unpretentious hotel Ramaya is 8 minutes' drive (3.5 km) from Gwalior railway station and 5 km from the 8th-century hilltop Gwalior Fort. This contemporary roadside hotel Ramaya is a 16 minutes' drive (5.9 km via Raja Pancham Singh Marg) from the Jaivilas Palace and 14 minutes' drive (5.6 km via Raja Pancham Singh Marg) from H.H. Maharaja Jiwajirao Scindia Museum. This best hotel Ramaya is 3 km ( 5 minutes' drive via Mela Rd/Racecourse Rd) from Gola Ka mandir, this refined hotel Ramaya is also 8.9 km (27 minutes' drive via Raja Pancham Singh Marg) from Sas-bahu Temple and 7.7 km (25 minutes' drive via Raja Pancham Singh Marg) from Maharaj Bada. This functional hotel Ramaya is 2.8 km (5 minutes' drive via Raja Pancham Singh Marg) from Moti Mahal. The warmly decorated rooms and suites have free Wi-Fi and flat-screen TVs. Some suites add whirlpool baths. Room service is available 24/7. A complimentary breakfast buffet is served in an unassuming restaurant "Mehak". Other amenities include a best rooftop bar and grill "WINGS", banquet halls, meeting and conference rooms, plus a kids' play area. Parking is offered. It is with immense pleasure to introduce Ramaya Hotel. The innovative, stylish and distinct architectural concept decor and state of the art interior and facilities to ignite your desire to cherish the modern hospitality. We proudly present you our distinctive tastes of food at distinctive in Hotel Ramaya. 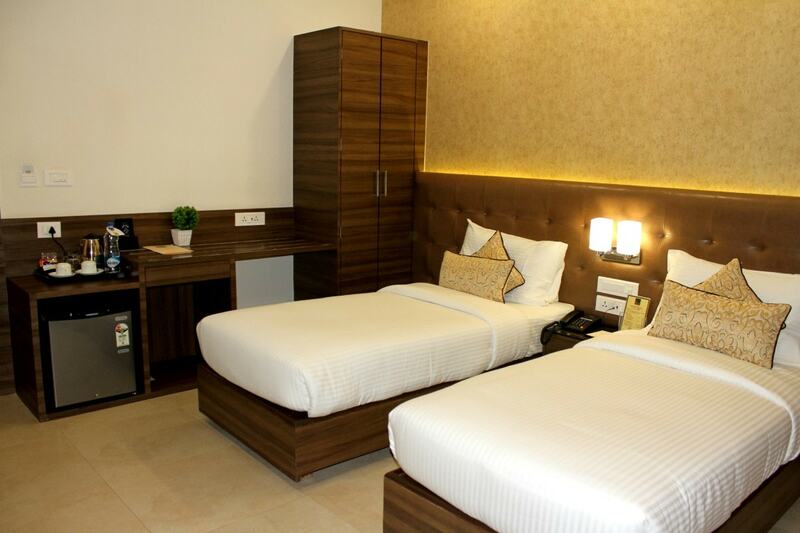 Ramaya hotel which is a best hotel in Gwalior offers 35 Rooms and suite of wonderful luxury and comfort. Hotel Ramaya is the perfect destination to stay over for all travellers at international levels of standard weather they are coming for business or leisure. 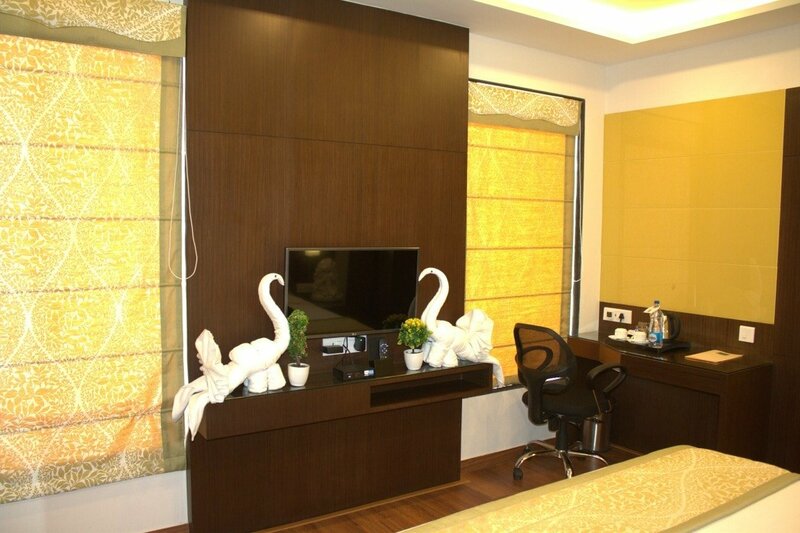 We always strive hard to pacify needs of our customers which makes us best among the rest in Hotels in Gwalior. Hotel Ramaya, a newly constructed and designed to meet the all needs of businesses meeting, corporate events, Sport clubs, family get together. Hotel Ramaya which is a best hotel in Gwalior, welcome its guest to experience an artful balance of contemporary elegance and modern design. Well architecture, fully furnished, Air Conditioned Rooms designed to feel luxury experience. Hotel Ramaya is a Perfect destination to stay, fun, meetings, wedding, tasty food for travellers at international levels of standards. You take an accelerating drive to reach at Ramaya to view 360 degree at every turn of tranquillity posh lush green surrounding. 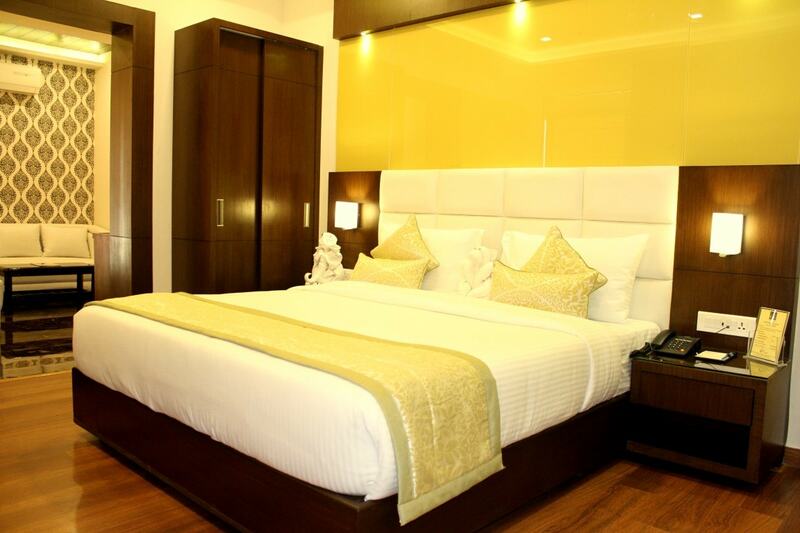 Ramaya hotel accommodation comprises the service of excellence and high gesture and hospitality. Our bright and spacious functions venue to celebrate your all elite events and caters variety of feasts of multi cuisine selections. From atop the city- our roof top lounge to soak up view of lush green down town surroundings features intimate fine dine a family lounge. Ramaya hotel which is a best hotel in Gwalior serves the value for money the finest and magnificent facilities. Concierge team will assist you throughout your stay to make more valuable to step away to the city's most iconic, heritage centre for family fun and memories. Hotel Ramaya offers state of the art hospitality to global and local travellers. It's one of the urban modern infrastructures on the greenery landscape which make it perfect fit for all season stay for leisure and pleasure. 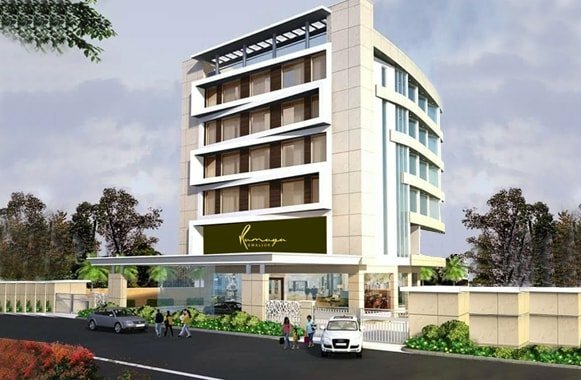 Hotel Ramaya situated at the Gwalior’s great and green location and having a unique and modern contemporary style. Our delectable food and concierge service is witnessed by international hospitality. On your arrival at Hotel Ramaya, you will get pleasing concierge, peace, quite, relaxing, comfort, and luxuriousness. We proudly present you our distinctive tastes of food at distinctive in Hotel Ramaya. Hotel Ramaya delights the senses with great service in serene surroundings. Our commitments to quality and attentive service together with the love to detail make Hotel Ramaya the perfect setting for flourishing relationships. Our encounter with guests whether they are business travellers, International travellers, locals, we seek to deal with them as we would have them deal with us. 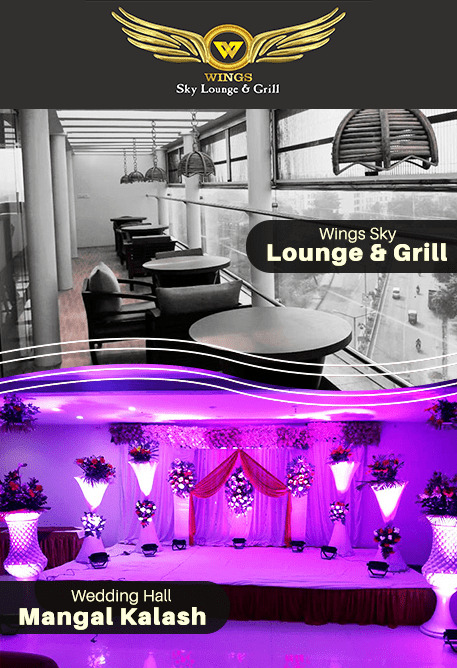 Wings Sky Lounge & Grill: It is one and only in the city, a Barbecue Restaurant. Wing is situated at roof top which gives a beautiful glimpse of the city from the top while soothing your taste buds with the delicious Barbecue dishes. Scenery view at night with bright lights shining everywhere and a soundproof aroma which enhance the Barbecue snacks taste. Health is our primary concern and our kitchens are equipped with latest tools, hygienic practices, and high level of clean & disinfected area. Mangal Kalash: One of the perfect fit for weddings or any matrimonial event in the city. 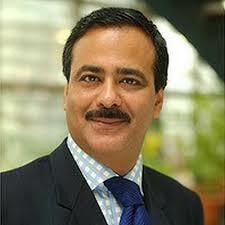 It has the capacity to incorporate more than 500 people at a time. Along with the modern styling architecture, it has the decorative interior with art work and finishing to mark an impression over guests. 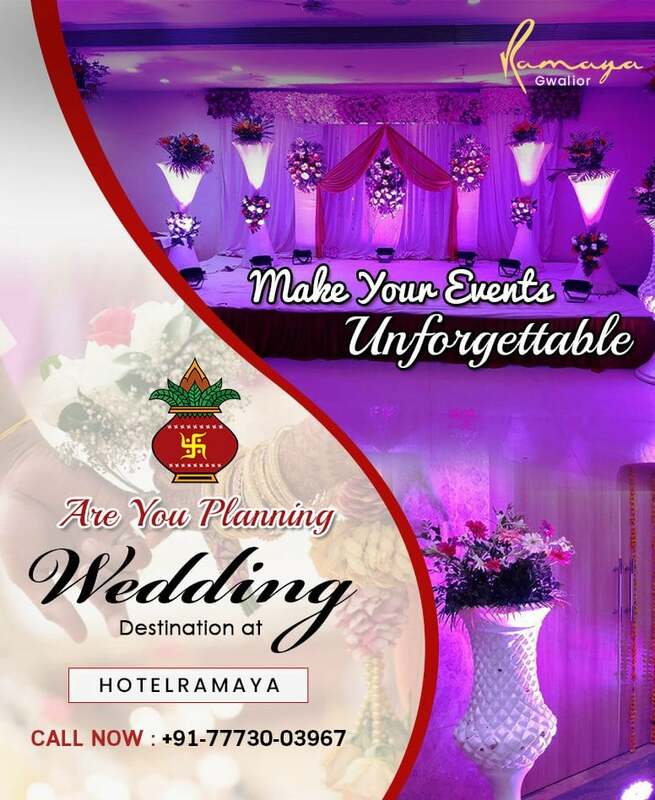 A newly designed wedding hall - Mangal Kalash of Hotel Ramaya, offer variety of choices, cuisines in food. Continental, Chinese, South Indian with a lots delectable starters. We are very happy about your arrangements and it was worth. Hope to see you again..